BUCYRUS — Crawford County has taken a crucial step to hold accountable companies responsible for dumping millions of dollars’ worth of prescription opioids into its community. The county has filed a RICO (Racketeer Influenced and Corrupt Organizations Act) lawsuit against drug manufacturers and wholesale drug distributors that made the opioid epidemic possible. Crawford County is joining a growing group of county and city governments in filing suit against five of the largest manufacturers of prescription opioids and their related companies and against the country’s three largest wholesale drug distributors. The lawsuit accuses the manufacturing companies of pushing highly addictive and dangerous opioids and falsely representing to doctors that patients would only rarely succumb to drug addiction, while distributors breached their legal duties to monitor, detect, investigate, refuse and report suspicious orders of prescription opioids. “We are taking this action because the costs of this opioid crisis have overwhelmed Crawford County’s ability to provide for the health and safety of our residents.” said Crawford County Prosecutor Matthew Crall. “We have held those dealing drugs and using drug accountable. We must also hold those accountable who helped to create the epidemics through deceptive practices. This lawsuit does that. The manufacturers listed as defendants in the lawsuit include: Perdue Pharma, which sold OxyContin, MS Contin, Dilaudid, Butrans, Hysingla and Targiniq;Teva Pharmaceutical Industries and its subsidiary Cephalon, which sold Actiq and Fentora;Johnson & Johnson and its subsidiary Janssen Pharmaceuticals, which sold Duragesic and Nucynta; Endo Health Solutions, which sold Opana, Percodan, Percocet and Zydone; and Allergan, Activis and Watson Pharmaceuticals, which sold Kadian, Norco, and generic versions of several opioids. The wholesale drug distributors listed as defendants in the lawsuit include: McKesson, Cardinal Health and AmerisourceBergen Drug . But in recent years they failed to do that, and today the Crawford County community and families throughout Ohio are paying the price. 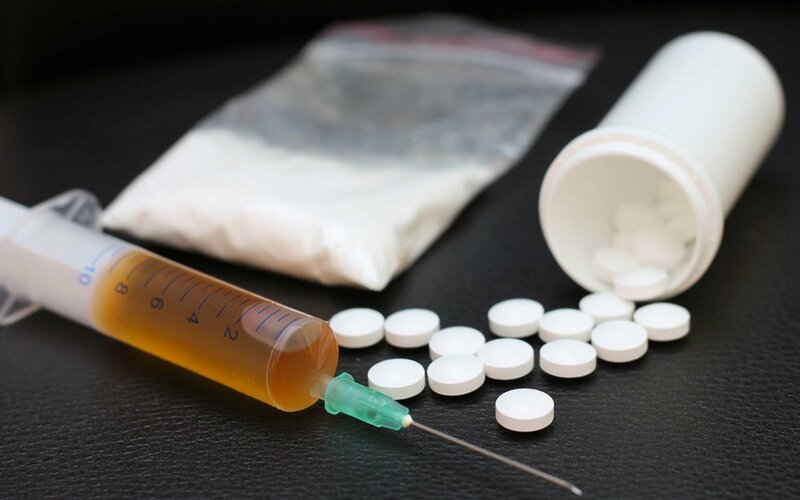 According to the Ohio Department of Health, in 2016, unintentional drug overdoses caused the deaths of 4,050 Ohio residents, a 32.8-percent increase compared to 2015. Crawford County is working with a consortium of law firms to hold pharmaceutical wholesale distributors accountable for failing to do what they were charged with doing under the federal Controlled Substances Act: Monitor, identify and report suspicious activity in the size and frequency of opioid shipments to pharmacies and hospitals. The opioid epidemic has grown worse as people who were addicted to prescription pills have — thanks to heightened enforcement efforts — found them harder to come by. But Crawford County residents continue to bear the burden of the cost of the epidemic, as the costs of treatment for addiction, education and law enforcement have continued to rise. According to a federal study, roughly one in seven people who received a refill or had a second opioid prescription authorized were still on opioids one year later. The county has hired expert law firms, experienced in holding the powerful pharmaceutical industry accountable. Those firms include: Greene, Ketchum, Farrell, Bailey & Tweel, LLP, Huntington – West Virginia; Levin, Papantonio, Thomas, Mitchell, Rafferty & Proctor – Pensacola, Florida; McHugh Fuller Law Group – Hattiesburg, Mississippi; Hill, Peterson, Carper, Bee & Deitzler, PLLC – Charleston, West Virginia; Baron & Budd, P.C. – Dallas, Texas; Powell & Majestro, PLLC – Charleston, West Virginia; Seif & McNamee, LLC – Waverly, Ohio; Oths, Heiser, Miller, Waigand & Clagg, LLC – Wellston, Ohio.